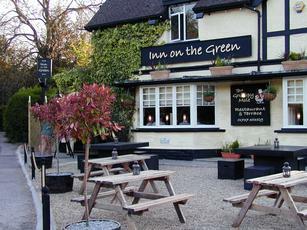 Today I went to The Inn On The Green and I went into the restaurant, which is known as The Grumpy Old Mole. Well, it was worse meal I have ever had and I will never go there again. It was expensive on the drinks and I thought the rubbing house was expensive, but compare with The Inn on the Green the rubbing house is the cheapest place around and the food is far better. My husband and I recently went for an evening meal here. My piri piri chicken was excellent, but unfortunately my husband's rib eye steak was very fatty. We had to ask for a steak knife and wasn't offered "the selection of sauces". What really surprised us though was the lack of personal service - no eye contact from the waitress, not asked if everything was ok for us, not asked if we enjoyed out meal, plates dumped in front of us and whisked away quickly when we had finished. It was as if these people just assume they are doing well and don't need any confirmation. shocking. The food is certainly not cheap but (apart from the steak), very good. Wine excellent and for once my husband's beer from the tap was fizzing beautifully and he had no complaints about that. The staff/management need to re-think their approach with customers. Agree with all comments about this being more a restaurant than a pub but for those wanting to eat and have a couple of drinks either in the bar or the restaurant you wont be disappointed. Great variety on the menus and all of our group had different meals and all were very pleased. Friendly welcome, good service and lovely real fire burning on a cold day gave it a lovely feel. Wine list is relatively expensive but well thought out. 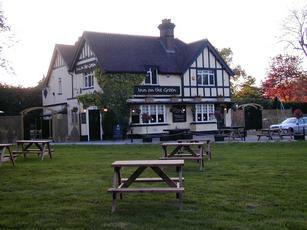 With a choice of drinking pubs very close, has its place in the local market. Have eaten here many times, but make no mistake, although it classes itself as a pub it is in no way a pub at all. The "bar area" is in fact full of tables full of diners. Sunday lunch very good but very busy so booking needed well in advance. Our last visit was a bit of a disaster as was an unexpectedly beautiful day and the tables outside were busy. Ordered a lukewarm glass of wine only to be told that the kitchen closed as been too busy and couldn't cope, counted 18 other people being turned away too. So the moral of the story is book, book, book and expect a restaurant and not a pub. More a restaurant than a pub. I'd suggest visiting in summertime when you can use the outside tables, as there's very little space at the bar. Harvey's Sussex Best and London Pride on offer - bit expensive though.